The University of Minnesota’s drive for better plants in a challenging climate started soon after the Agricultural Experiment Station was created in 1887. Extensive, scientific breeding efforts at multiple locations throughout Minnesota focus on hardy plants that thrive in cold regions. Building on those early efforts the University has fostered more than 400 hardy varieties of edible and ornamental plants, tested and proven through extensive trials. Field trials and research in highly varied Minnesota climate conditions and soils are conducted at 10 Research and Outreach Centers and the St. Paul campus. Testing for cold hardiness may span decades and include plants from apples to azaleas, wine grapes to chrysanthemums. The University of Minnesota has been breeding apples, berries, grapes, ornamental trees and shrubs, flowers, and grasses for over 150 years. 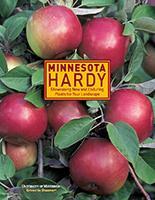 More than 400 proven hardy varieties provide a foundation for Minnesota's more than $200 billion horticultural industry. On this site you will find details about University breeding programs and lists of varieties currently available. The U of M does not generally sell plant material to the public but provides it to licensed propagators who then distribute it to the growers, retailers, and landscapers. Commercial growers can learn more about licensing and purchasing our various varieties here. Home gardeners looking for varieties available at their local nurseries, orchards, or vineyards will find more information on FAQ pages for apples, wine grapes and landscape plants. First Kiss® (or Rave® as it will be known as when grown outside Minnesota), marks the 27th apple variety release from the apple breeders at the University of Minnesota. This child of Honeycrisp inherited its crisp and juicy texture but will be really up to four weeks earlier than its parent tree. 'Itasca', the Univerisity's newest grape release, will be used to make dry white wines. Itasca has lower acidity and high sugar levels coupled with high resistance to common grape pests such as downy and powdery mildew and the insect phylloxera. Pink Popcorn® (aka MNPink1 cultivar) is the first pink blueberry introduced by the University. Truly pink-fruited blueberries, with the sweet taste and satisfying crispness of the best of the blues, are a culinary novelty. The attractive blush-colored berries grow on vase-shaped bushes, tested and proven cold hardy to Zone 4 temperatures. 'Electric Lights Double Pink' and 'Electric Lights Red' azaleas are the newest members of the 'Lights' series and the first new azalea releases in nearly 15 years. Electric Lights Red is the long-awaited first red azalea released by the University. 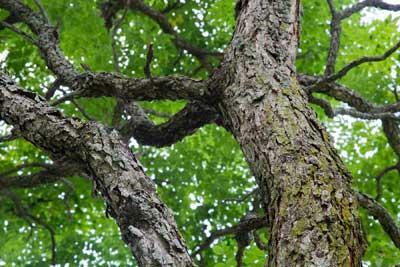 New introduction True North™ Kentucky coffeetree offers a narrow, upright form making them suitable replacements for ash in Minnesota. Research has shown it to be easier to propagate compared to other Kentucky coffeetrees.